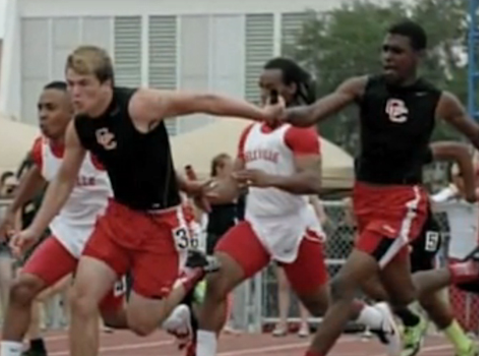 The Columbus High School Mighty Cardinals had won the 4×100-meter relay–by seven yards, no less–and had a shot at the state championship. That was until Junior sprinter Derrick Hayes pointed to the sky. Hayes’s father, K.C., said that his son made a gesture of thanks to God, but raising a hand to the sky is considered excessive celebration according to the state scholastic rules. And with that, the team was disqualified. Many interviewed around town said that this was a violation of freedom of religion rights. Columbus High School said that religious gestures are not banned, but they must be done off of the competition field or court.